You will earn 20 Catt credits for buying this product. Hanif Qadir is recognised as one of the world’s leading specialists in positively transforming violent extremists. He is actively involved in advising and assisting senior policy makers around the globe in reforming key aspects of the Preventing Violent Extremism agenda. This is an essential book for all those who work with young people in whatever context, and for all those institutions that have a statutory duty to prevent people from being drawn in to extremism and terrorism. Hanif outlines the challenges and realities of the current threats, and the various early indicators of extremism and radicalisation. Drawing on his experience of working with hundreds of high risk terrorist and violent extremist cases, the book examines when and how intervention should take place – and, crucially, suggests what success and failure will look like in these cases. Anonymous case studies from a wide variety of young people demonstrate the numerous push-and-pull factors in play and detail the practical methods and solutions involved with changing attitudes and behaviours permanently. The book concludes by detailing the correct Islamic perspective on extremism and terrorism, dispelling many of the myths that have built up through fear and a lack of understanding. Hanif Qadir is the CEO of the Active Change Foundation (www.activechangefoundation.org), an organisation he co-founded in 2003, and is recognised as one of the world's leading specialists in positively transforming violent extremists. He is actively involved in advising and assisting senior policy makers in reforming key aspects of the Preventing Violent Extremism (PVE) agenda. He works closely with a wide range of governmental institutions, most of the UK's Police Authorities including the Metropolitan Police and research academics across the globe, with a view to applying a more sensitive and sensible approach in counter-terrorism strategies. Early in 2002, Hanif joined a network of Al Qaida members, after 9/11 and the invasion of Afghanistan, spending most of his time with the network throughout 2002. He then travelled to Afghanistan in December of that year, and realized that young men and women were being used as cannon fodder in a war that many people knew little about. After a hostile argument with some high ranking Taliban commanders, Hanif returned to the UK to safeguard young men and women from similar experiences, losing their lives and harming their communities. 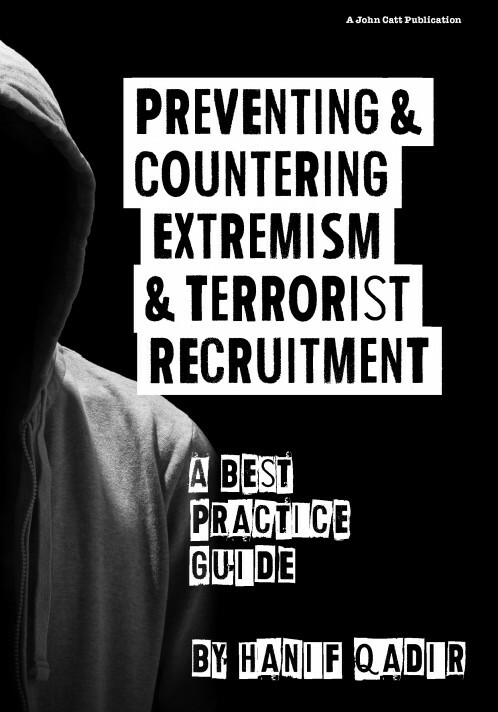 He has since worked with some of the UK's high risk terrorist and violent extremist cases and has challenged many known figureheads who lead violently extreme groups both at home and abroad. He has effectively prevented a number of individuals from participating in terrorist activities. In so doing, he prevented those individuals from being killed, killing others or being locked away for many years. Hanif has a unique understanding and hard won experience of the modus operandi of Al Qaeda and Al Shabab inspired groups and individuals. He is now recognized as arguably the best violent extremist and de-rad expert in Europe and he is called upon around the world to advise on effective strategies to counter violent extremism.